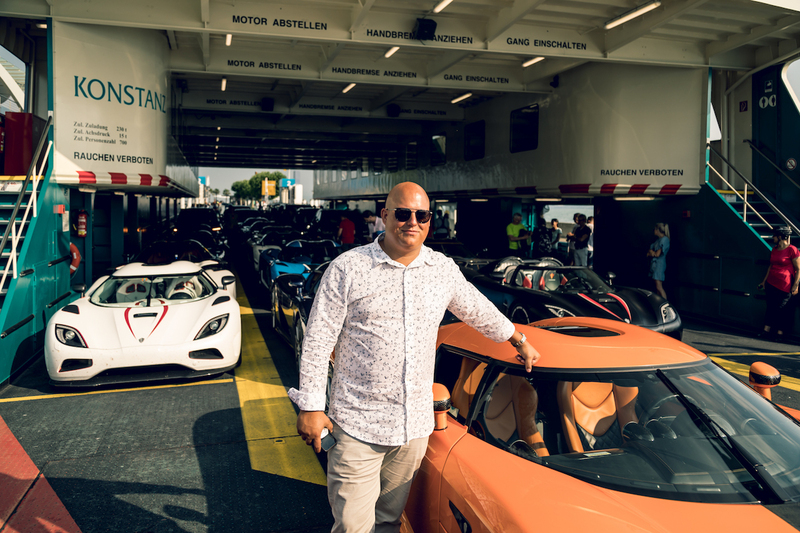 Swedish hypercar manufacturer Koenigsegg has been organizing an annual owner's tour for its customers as part of its commitment to treat each buyer like a member of its family. 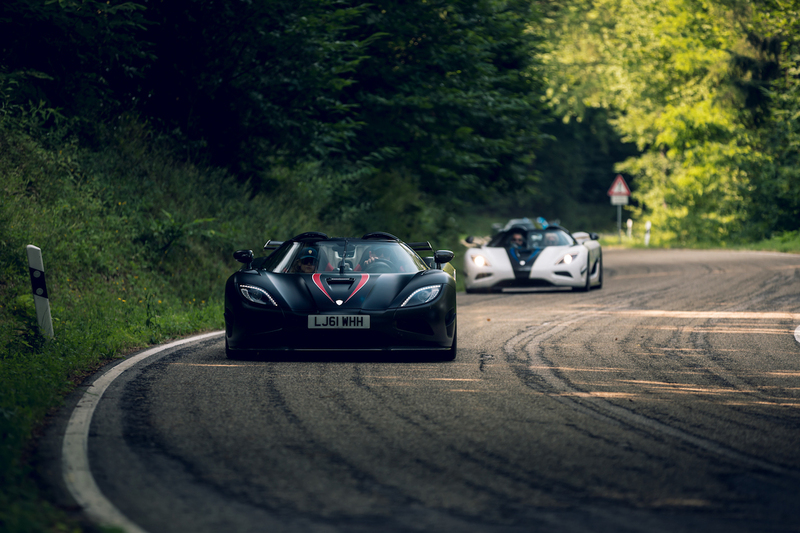 For the third year, Koenigsegg rebranded its annual road trip "Ghost Squadron" and treated owners to a three-day road trip through Southern Germany, as detailed on the company's blog. 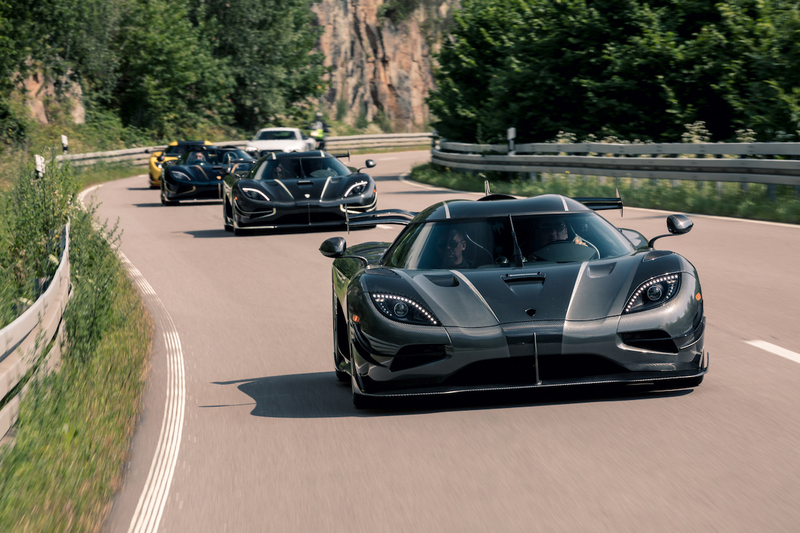 Sixteen Koenigseggs turned up for this year's tour, two fewer than last year. 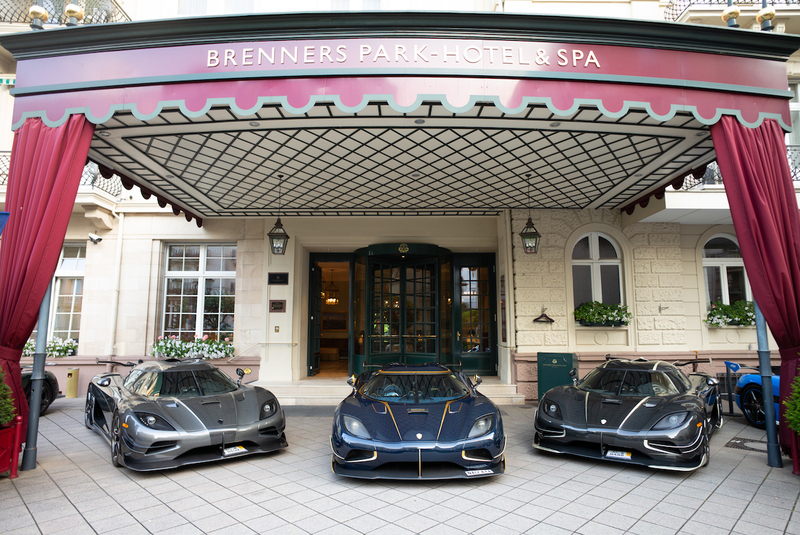 Still, the impressive list of unique 'Eggs included named Agera RSs like Naraya, RSN, ML, and Draken—plus an Agera R, two Regeras, and a handful of CCXs and CCRs. 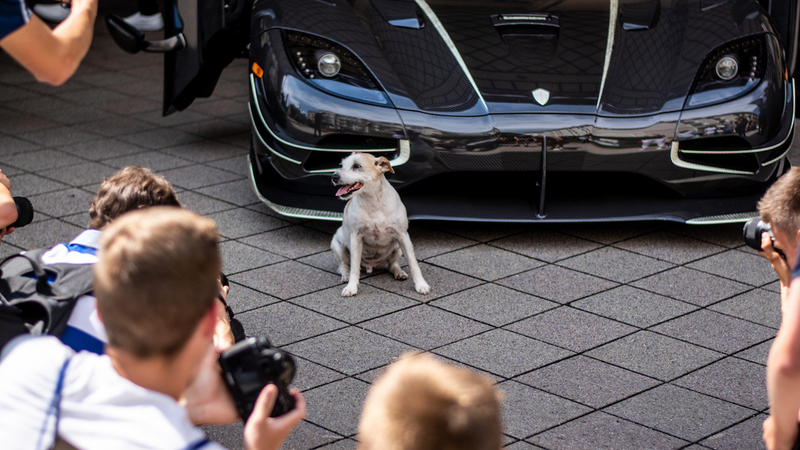 The weekend of July 6 began in Baden-Baden, Germany with Koenigsegg delivering the final Ageras built, Thor and Väder, to their new owners. 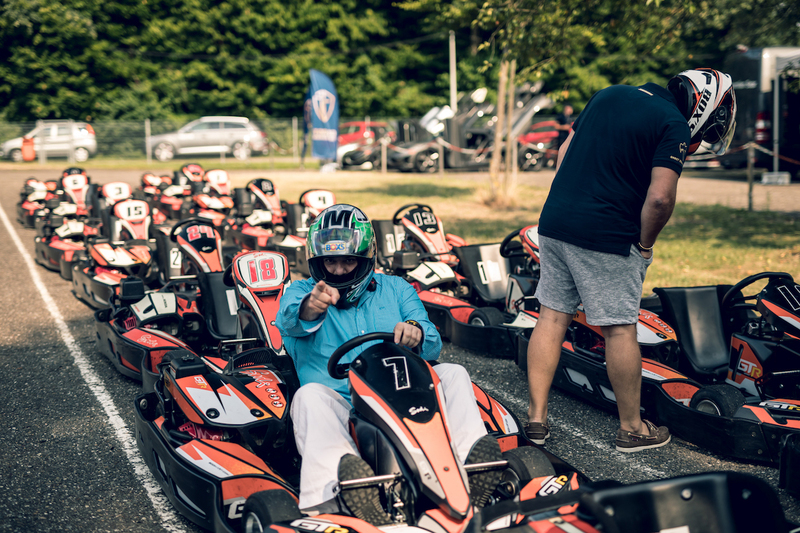 On Saturday, the group made their way through the Black Forest for a hard park and picture on top of the Schwarzenbach Dam, before moving on to another town for...go-karting. 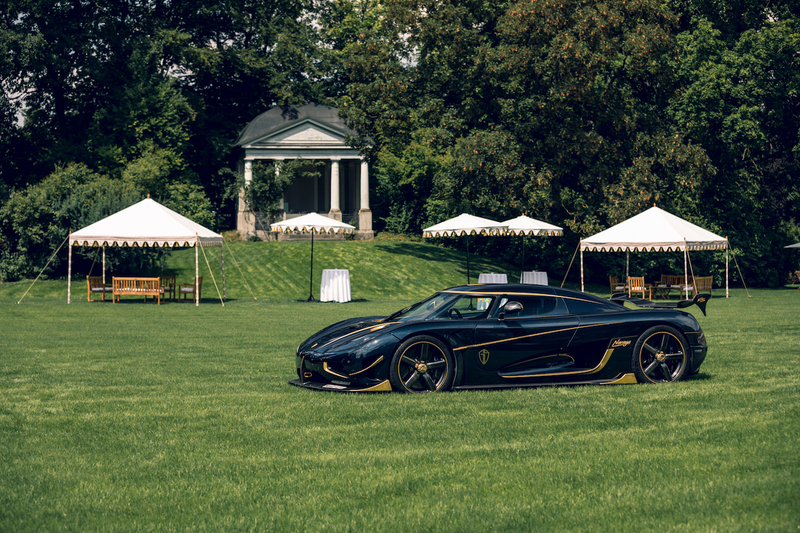 Sunday saw the group head 186 miles to the village of Königseggwald, home to the Koenigsegg family residence. The trip ended 80 miles away at Parkhotel Adler, a very aerodynamic stone's throw from Freiburg. 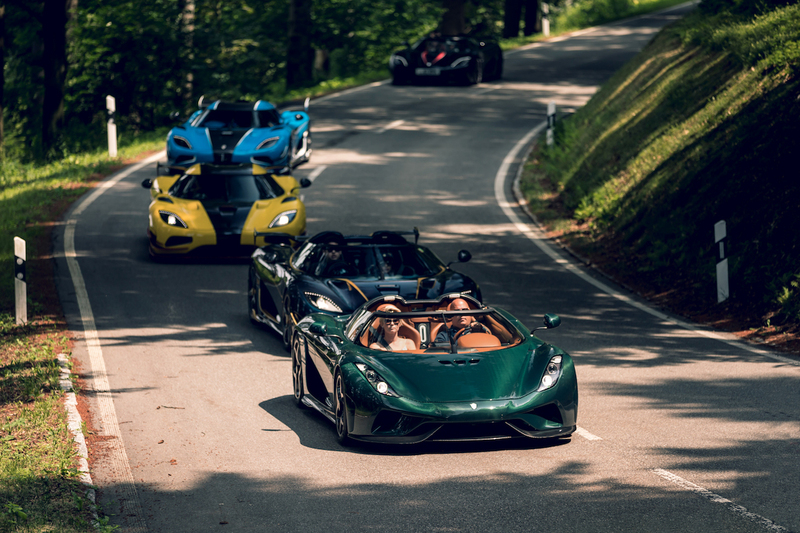 Not even a week later, part of the Ghost Squadron convoy made its way to the Goodwood Festival of Speed with Christian von Koenigsegg at the front of the pack, driving a green carbon fiber Regera. Below is a gallery of Ghost Squadron 2018. 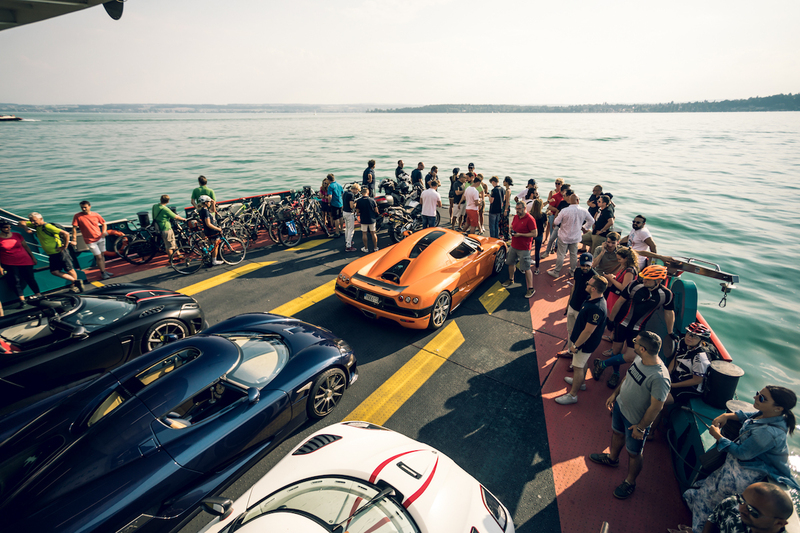 Fair warning though, it's basically a car spotter's dream.